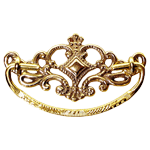 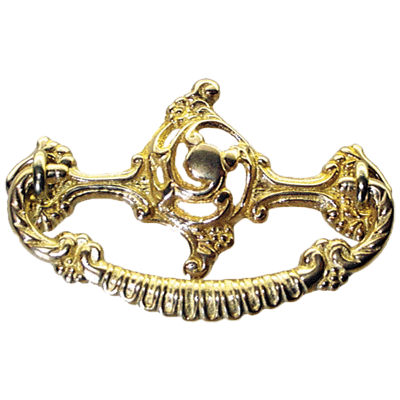 This Rococo-style cast brass drawer pull has an open backplate and is a smart choice for use on any furniture. 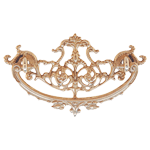 The pulls heavy duty cast construction means it can be used on a high activity drawer and last for years while keeping your piece looking as beautiful as the day you installed it. 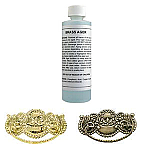 This item is $3.90 when your order exceeds $250 before shipping in qualifying items.